I spent a lot of time playing around with the 15-second long exposure setting on my point-and-shoot camera (see these photos), so being able to hold the shutter open for longer time periods and stabilizing the camera on a decent tripod were two of the things I was really looking forward when getting a DSLR. 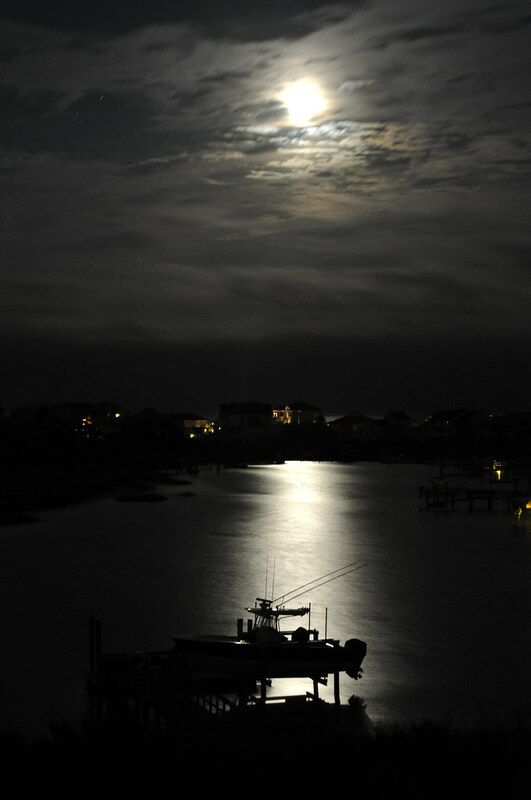 This was one of the first pictures I took with my D90, a 30″ exposure while the moon was still low enough in the sky to illuminate the water. Apparently this was long enough for the scattered reflection to become a continuous path of light, and if you look at this pic at its original size you can even see some star trails developing in the upper left.